1 cup white vinegar - use champagne or cider vinegar if you have it! Start by making the pickled cucumber. Layer cucumber ‘ribbon’s in a bowl and sprinkle with sea salt. Place vinegar, sugar and water in a jar and shake vigorously. Pour onto cucumbers and leave to ‘pickle’. 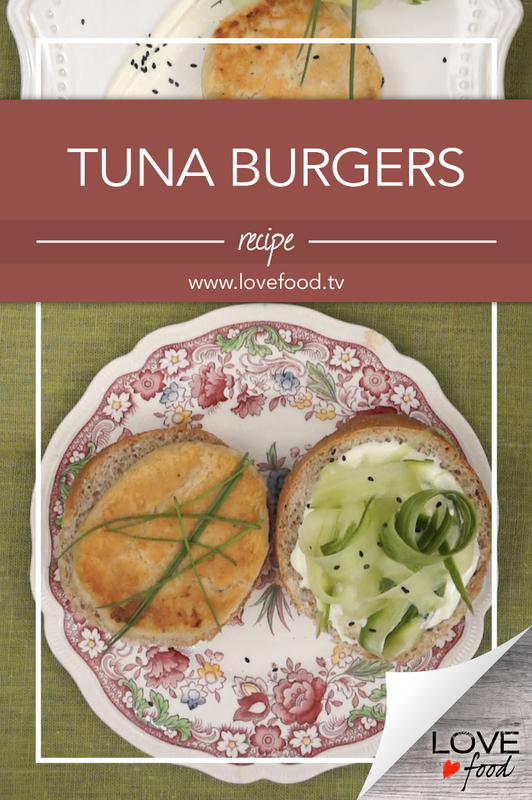 For the burgers, place, tuna, green onions, mayonnaise, lemon zest and juice, chives and ginger in a food processor and blend until smooth. Add sea salt and pepper and blend again. Taste, adding more salt if necessary. Spoon into a bowl then form mixture into four patties, or 8 ‘sliders’. Sprinkle flour on a plate and coat patties in flour on both sides. Heat oil in a heavy fry pan. Fry patties on both sides until golden and heated through. Combine wasabi and mayonnaise in a small bowl. 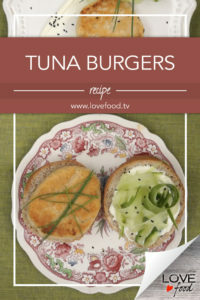 Cover buns with spicy mayo, top with burger and a tangle of pickle and a sprinkling of black and white sesame seeds. Top with bun and serve. Or, plate tuna, without the bun, on a plate with a slick of wasabi mayo. Top with cucumber pickle and black and white sesame seeds.